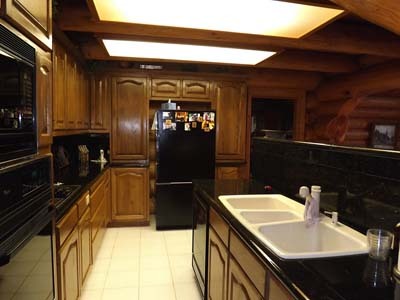 S pectacular oceanfront opportunity located in prestigious Maracaibo Estates. 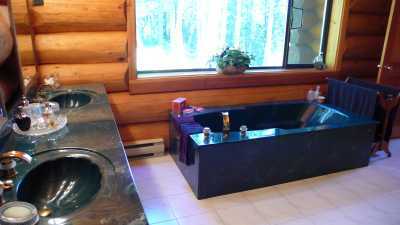 Maracaibo offers hundreds of acres of pristine parkland, with miles of hiking/walking trails, plus year round boat moorage, tennis, salt water swimming lagoon, plus guest accomodation spaces. 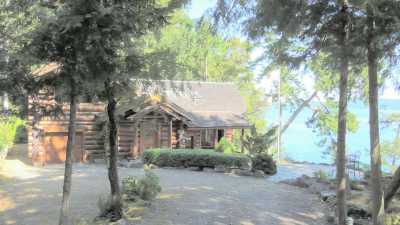 See Li for the details on this beautiful area -- close to all amenities, and just like one's own "private island"! 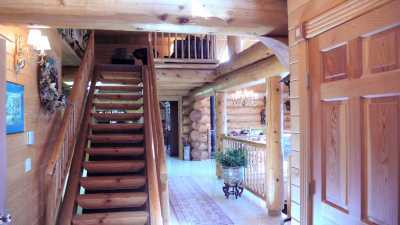 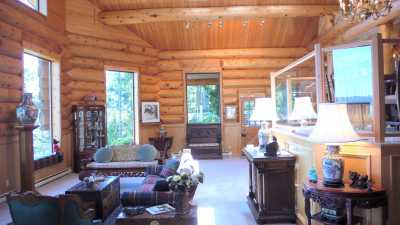 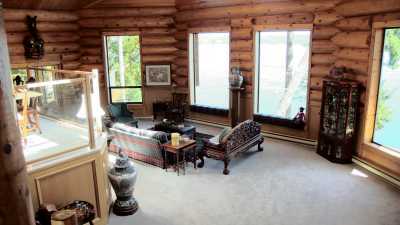 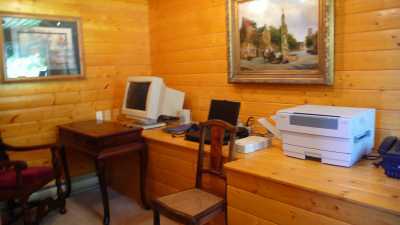 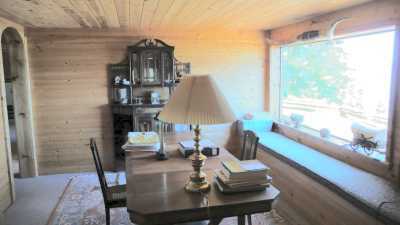 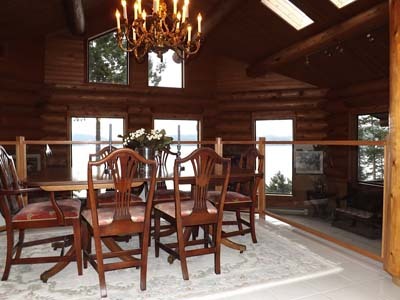 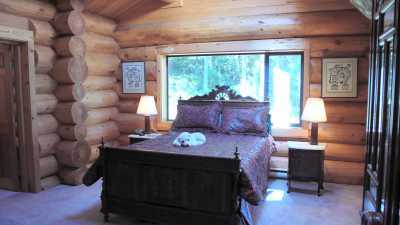 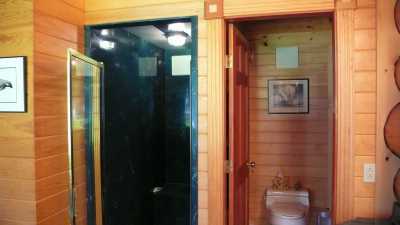 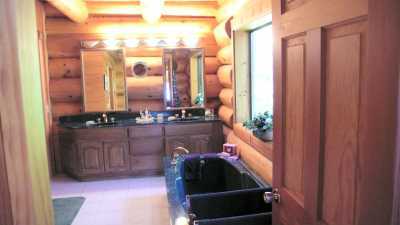 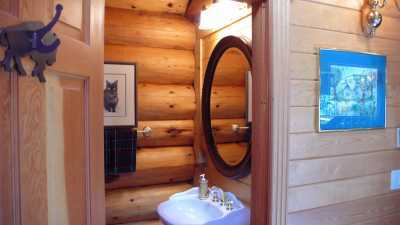 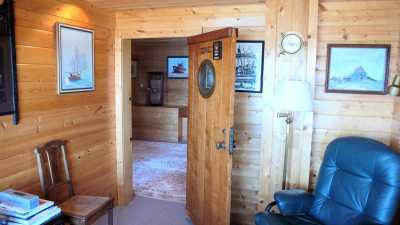 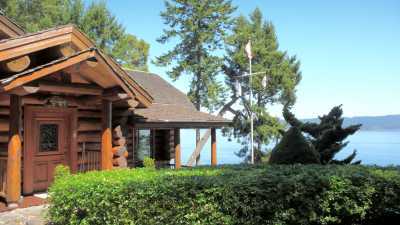 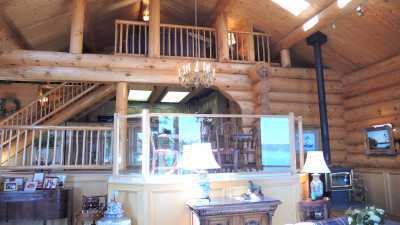 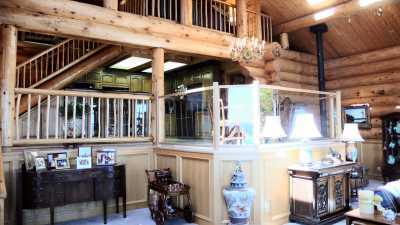 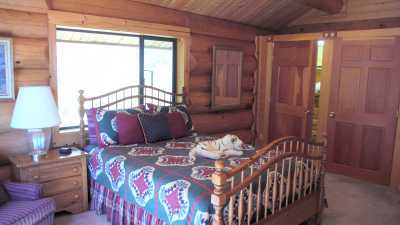 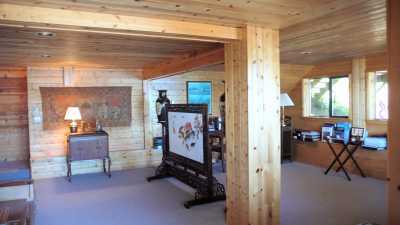 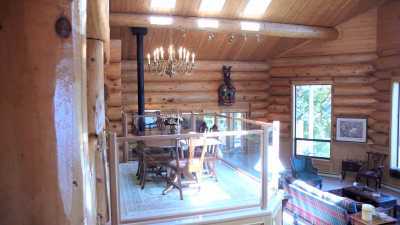 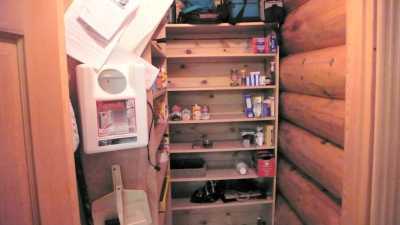 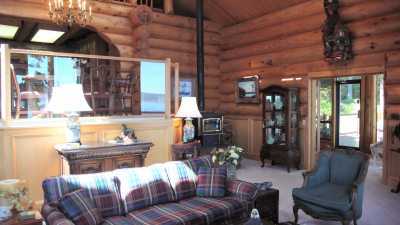 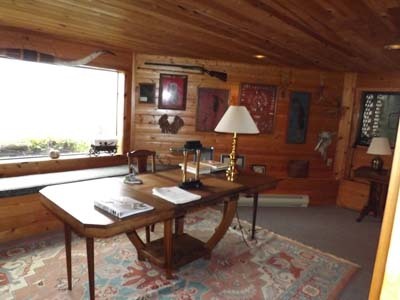 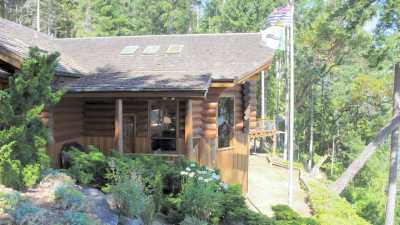 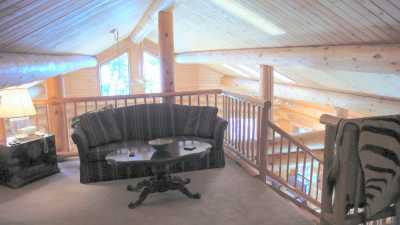 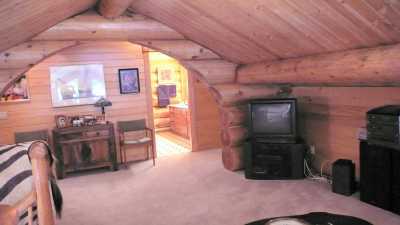 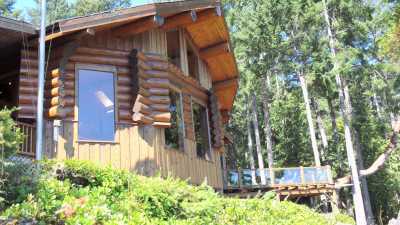 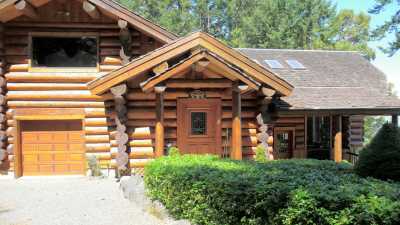 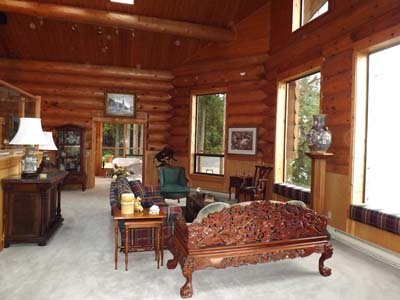 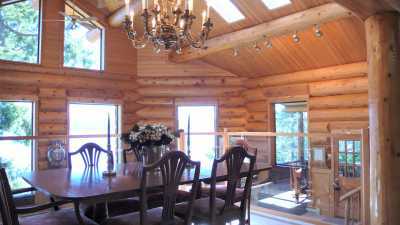 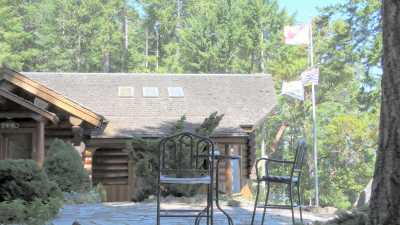 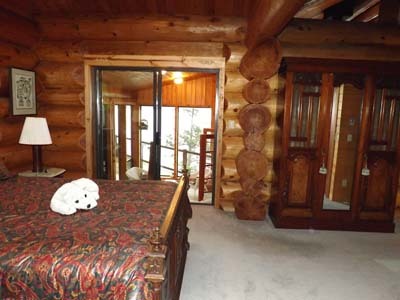 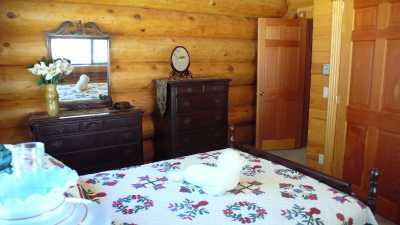 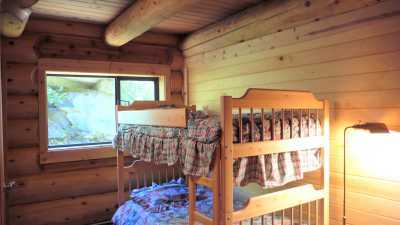 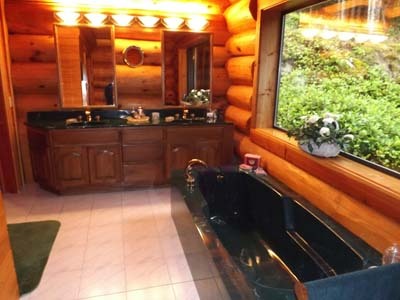 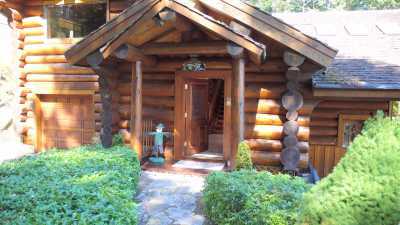 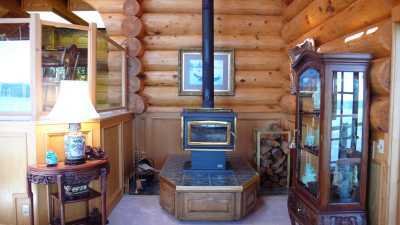 The custom designed & built authentic log home offers many appealing & dramatic features. 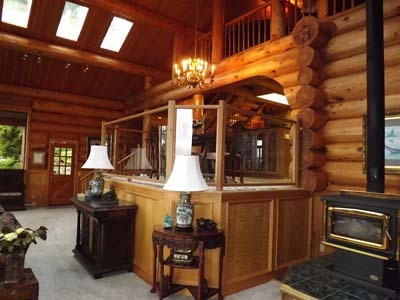 Home is bright & cheerful inside due to skylights and yellow cedar walls. 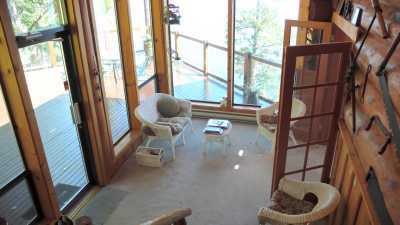 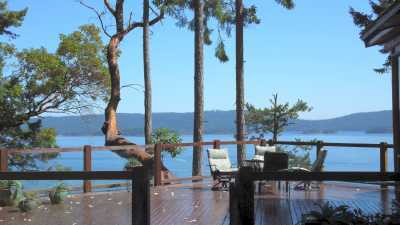 Enjoying panoramic ocean & islands viewscapes, it is a true "natural" retreat. 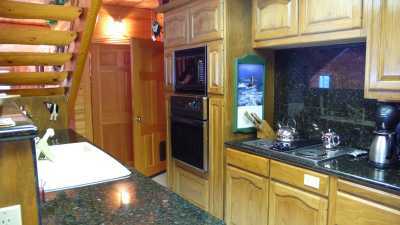 Main level offers formal entry/foyer, expansive entertainment size living, galley style kitchen with dining off, master/ensuite with solarium sitting area off, plus separate laundry, "bunk room", guest powder room. 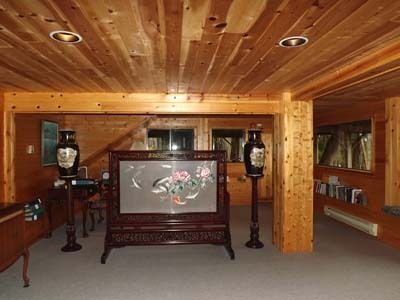 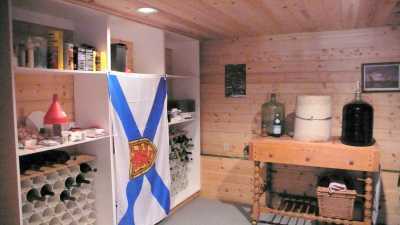 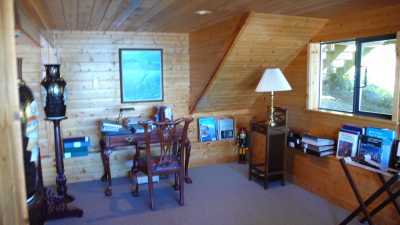 Lower garden level enjoys office, storage, wine room, rec room, meditation room. 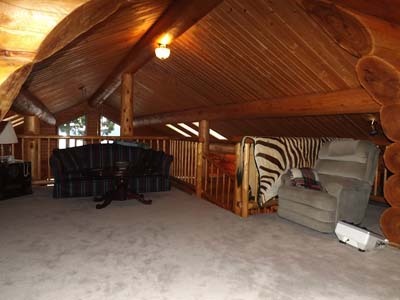 Upper level enjoys two guest bed/bath, plus t.v./library space. 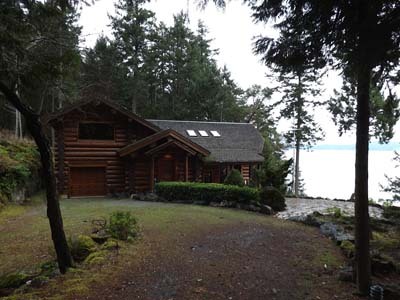 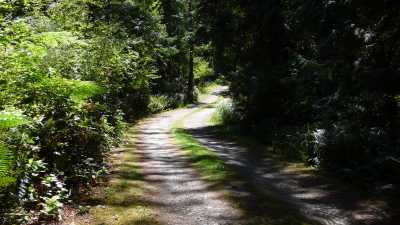 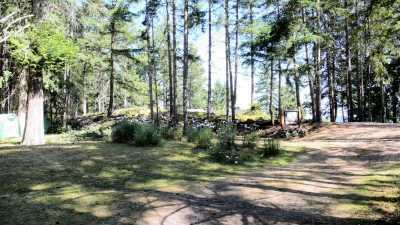 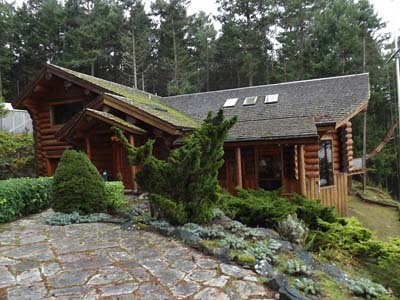 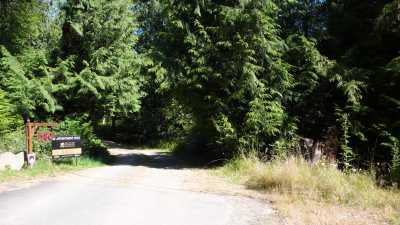 The property is a private 2.71 acres, & offers a coastal forest preserve at your doorstep (large, private park reserve is your neighbour -- watch the deer and the eagles. 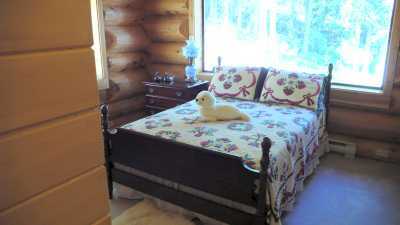 Whales and seals go by at oceanside!). 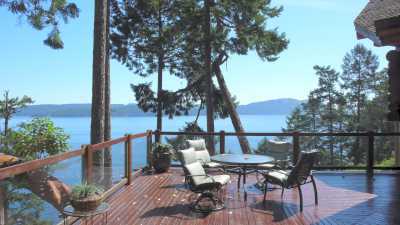 Property enjoys shared access to year round docks, tennis, miles of walking trails, & private beaches. 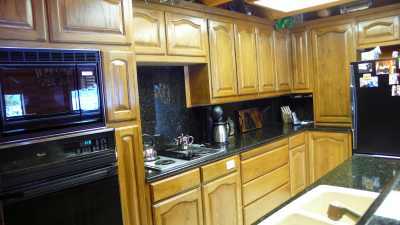 Maracaibo is like ownership in a private park -- see Li for the details, here! 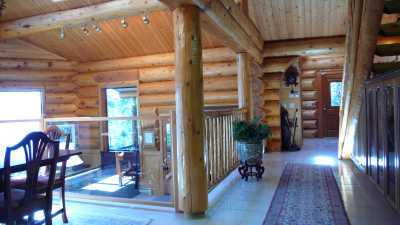 One owns one's private property, freehold, and there is a companies act aspect to the shared ownership -- the best of both worlds! 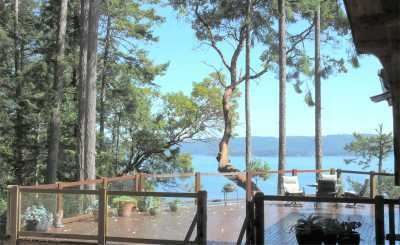 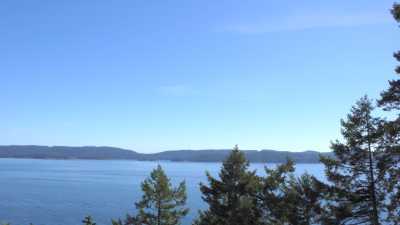 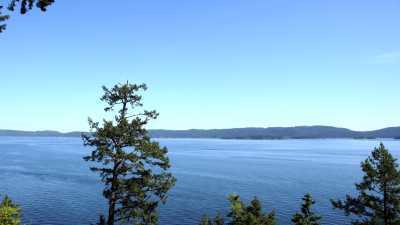 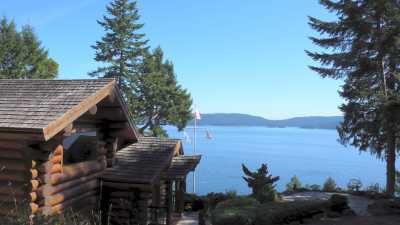 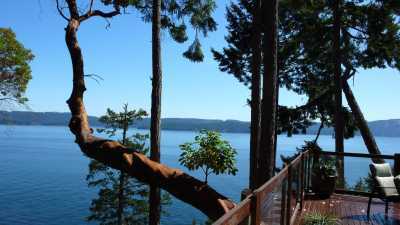 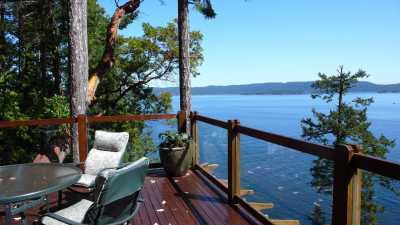 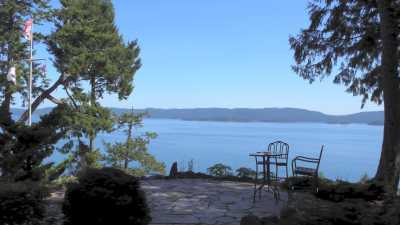 Created by Bob Hassell, a noted Salt Spring architect of the coastal design ethic, this wonderful bare land strata development captures the best features of the Islands Trust's "preserve & protect" mandate, and actually predates the Trust. 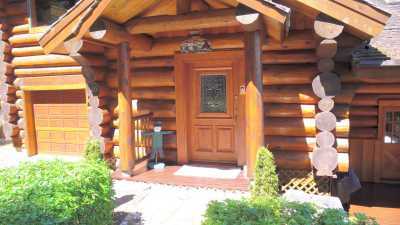 Located close to all amenities, yet like living in your own private park - the best ! 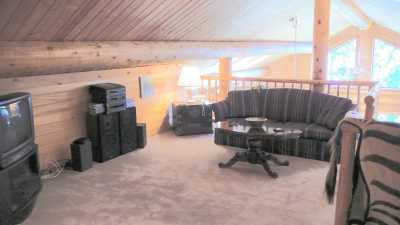 Note: the bulk of existing furniture will go with the sale. 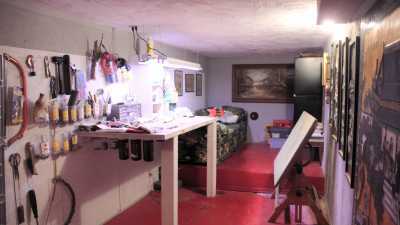 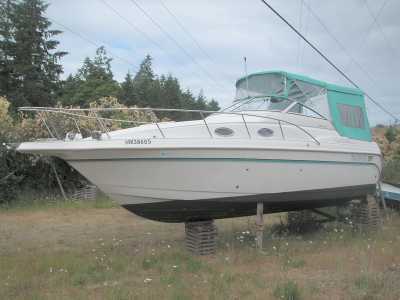 Note: see Li about the owner's 30 foot Donzi boat.